This would take 5 different workflows which is a bit of a waste since it’s all for the same process. The new Process Builder is a great way to reduce this, but this gets to be cumbersome if you have a lot of scenarios. So, for the above, with just 5, Process Builder is definitely the way to go. But what if you have 25? What if you have 125? The ability to set multiple fields in the same rule – Unlike assignment rules, you can update multiple fields within one rule. 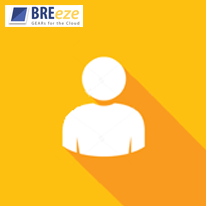 Rule Stamping and Reporting – Leveraging a standard function within BREeze, you have the option to stamp each record that is updated with the rule name that was applied to the record. Especially when you have a complex rules set with a lot of rules and scenarios, this is a huge time-saver when trying to troubleshoot what looks like an incorrect update. No more trial and error trying to find the errant rule, now the stamping will tell you exactly which rule is the issue. Evaluate all rules – With BREeze 3.0 (available now), you now have the option to evaluate all rules in a rules set. If 5 rules are true, all 5 will update the record, vs. standard assignment rules that will stop on the first rule that is found to be true. Custom Functions to easily extend rules – Do your rules require complex logic – such as standardizing the data, or doing a lookup to another object in order to evaluate? BREeze was built as a platform that will allow you to call any apex logic as part of the rule assignment. This greatly extends the evaluation / criteria logic beyond just standard formula functions. With BREeze you’ll be able to build a complex rules set – like the one below – that is as easy to manage as standard assignment rules, but without taking up a single workflow on your limits. 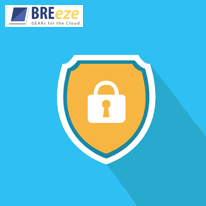 To learn more, check out the BREeze app page for more information, or contact us and let us know what your use case is. BREeze. Any Field. Any Object. Any Time.